Valentine’s Day is almost here, so we’re in an especially lovey mood here at Guide2WDW. While Disney World is widely known for being geared towards families and kids, there are many ways to make romantic memories with your significant other while visiting WDW. 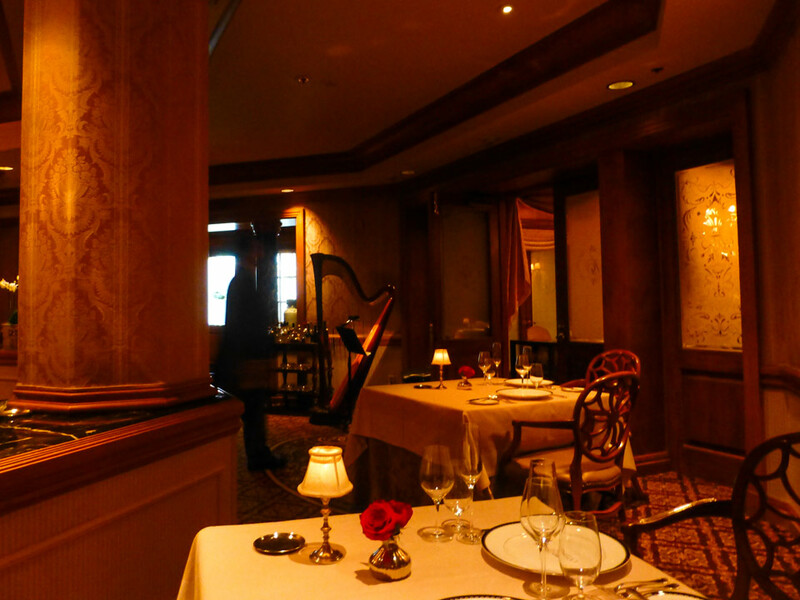 One of the best ways is to treat you and your sweetie to a magical meal in a romantic setting. Today, I’m picking out restaurants with the best atmosphere, best food/drink menus, and best service for date night. For example, while Be Our Guest features a beautiful ballroom and French cuisine, it tends to be pretty loud and crowded with families. Not exactly romantic, which is why it’s not on the list. Whether you are traveling sans kids or you are letting grandma and grandpa take the kids into the park for the evening, here are the most romantic restaurants you can dine at in all of Disney World. When we travel, my wife and I love to go on a drink/appetizer tour, where we will walk around a city, sniff out interesting looking restaurants and bars, and split an appetizer and a drink. Epcot’s World Showcase is perfectly suited to providing an international twist on our favorite foodie tour. 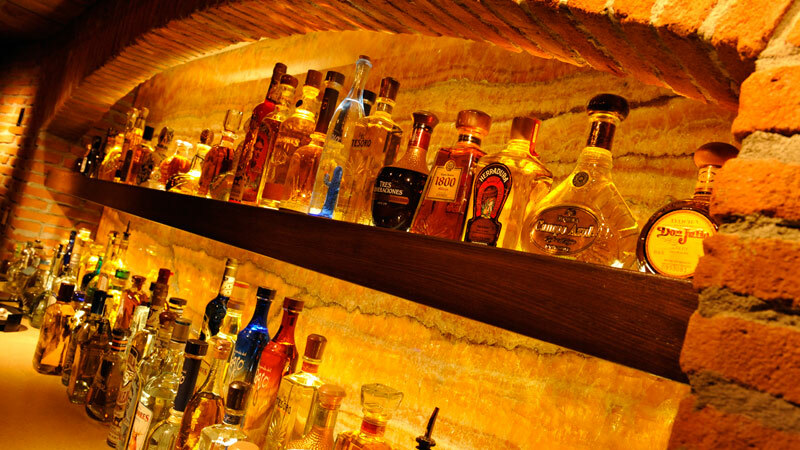 A great place to get cozy over a couple of margaritas is Cava Del Tequila. While the bar has very limited seating capacity, it provides an intimate and warm underground feel. Don’t skip out on the best margaritas money can buy (seriously, no other margaritas come close – inside or outside of Disney World). I definitely recommend the Avocado Margarita and the ridiculously good queso. You can’t get a full meal here, but it’s a perfect way to kick off or cap an amorous evening at Epcot. Wine and cheese in a dimly lit wine cellar? Much like La Cava Del Tequila, this wine bar is intimate, cozy, and doesn’t require reservations. That last part is a bonus if you and your partner love to be spontaneous. 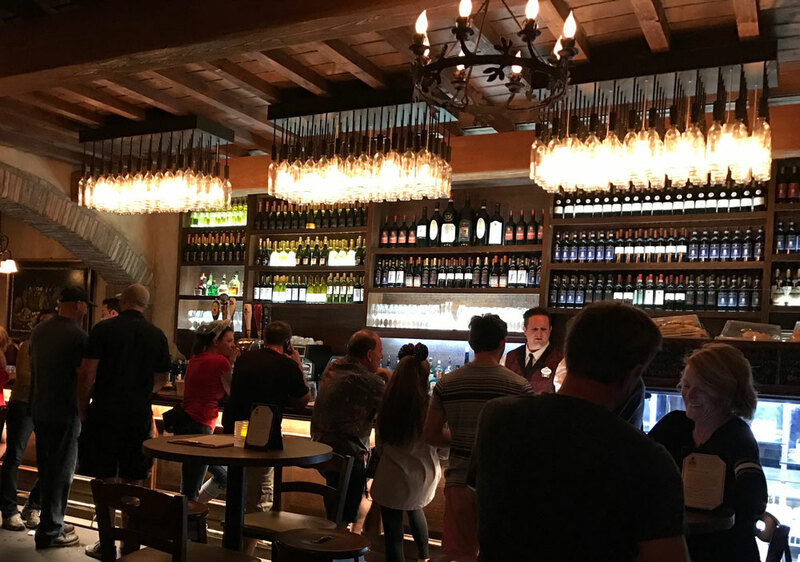 Tutto Gusto offers a variety of small plates, wine flights, and desserts, as well as the full menu from neighboring Tutto Italia, which makes this a great choice if you are tasting your way around the World Showcase or want to sit down for a nice Italian dinner. As with most things romance, atmosphere makes a big difference, which is why I’d recommend grabbing a seat at a small two-top or at the bar underneath the wine bottle chandeliers. Bonus tip: time it right and try to finish your meal right before Illuminations for a great nightcap. What is more romantic than creating a memory? That’s why a memorable meal should be in order if you are looking to woo your boo. Before we were married, my wife and I had a lunch at Tiffins, and we still talk about that meal. 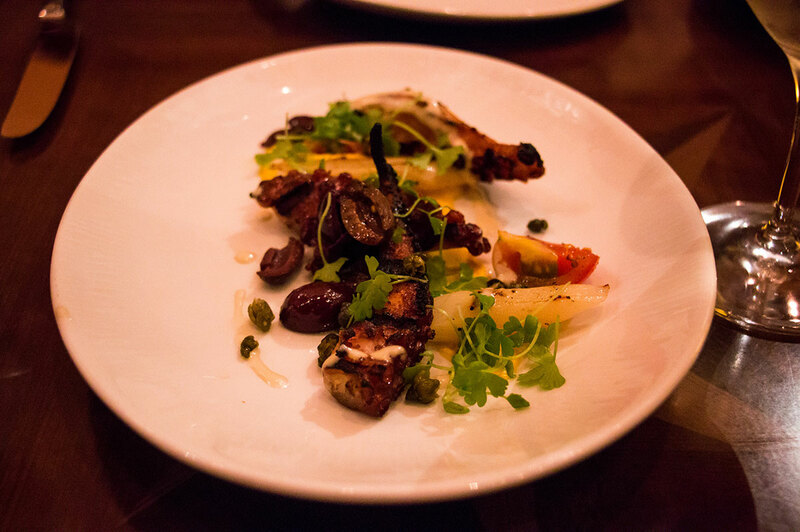 Part of it was the bold and delicious menu: charred octopus and tamarind-braised short rib stand out as favorites. Between the inventive flavors and the travel-inspired decor, Tiffins provides a feeling of going on a culinary adventure. I strongly recommend this restaurant for a romantic meal, but if you want something in a similar vein outside of the parks, try Sanaa or Jiko at Animal Kingdom Lodge. The food. The view. The fireworks! Perched atop the Contemporary Resort, California Grill has these in spades. Yes, the food here is among the best in all of Disney World. 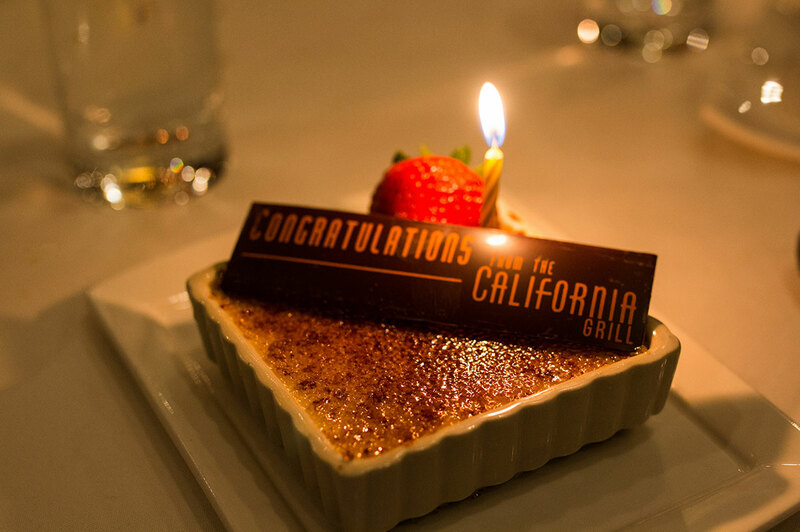 Between modern twists on sushi rolls, amazing steaks, and pork two-ways that is to die for, you really can’t go wrong with anything on the menu at California Grill. But what puts this restaurant over the top is that it’s literally on top of the Contemporary. Featuring panoramic windows, California Grill has some of the best views you’ll find in Orlando. If you get lucky with a window-side table, order a dessert and after dinner coffee or cocktail and stick around for the Magic Kingdom fireworks. They pipe the music in, which makes for an amazing evening. Tip: Even if you are not at the window or just dining at the lounge/bar, you are welcome to view the fireworks on two wide outdoor walkways right next to the restaurant. And if your reservation is for earlier in the evening (i.e. 5 pm), you can have your meal, leave, and return to view the fireworks from these viewing areas. Posh? Check. Upscale? Definitely check. Romantic? Most definitely. If you are in a position to splurge and want the ultimate way to celebrate your love over a meal, Victoria & Albert’s is the obvious choice. This is a dining experience unlike any other at Walt Disney World. In fact, it’s the only restaurant at Disney World (and Central Florida) to win AAA’s Five Diamond Award. Whether you are dining in the opulent dining room, the intimate Queen Victoria’s Room, or at the Chef’s Table, you are sure to have a meal of a lifetime. And, yes, you will be paying quite handsomely for that meal. A 7-course meal costs $185 per person, which is certainly steep, but it will be one of the most elegant and exquisite meals you’ll ever have. Guide2WDW contributor Meredith shared her experience at Victoria & Albert’s, and she still highly recommends it. If you’re looking to make a special occasion extra special, look no further.